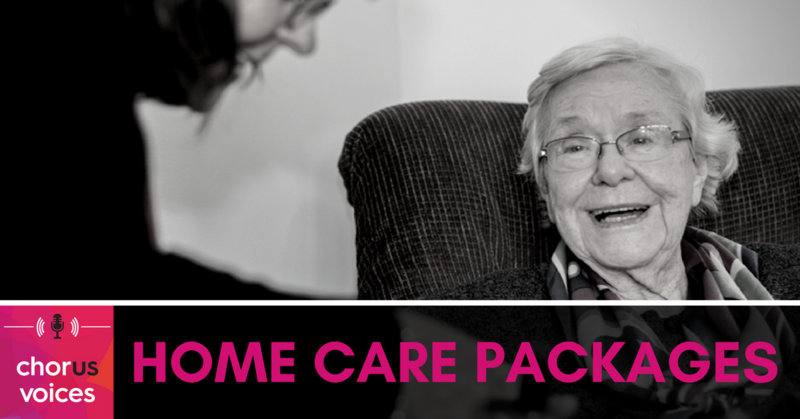 Simply put, Home Care Packages provide support to the aging Australians who need it. These services are in dire need – there are more than 100,000 people currently on the waiting list. Chorus is constantly forging ahead in what services it provides with Home Care Packages. And it’s a good thing too, because things are changing fast in Australian aged care! Home Care in Australia is currently undergoing a massive shift. Funding used to be provided in lump sums before services were delivered. Customers didn’t have a great deal of information nor control on the specific services they received, but they received it surely and steadily. Last year, the Australian government changed the funding and delivery framework. Now, funding is provided on a case-by-case basis, and it’s often provided after services are rendered. The change will allow for more customised service, but the shift has rocked the community services sector to its core. Systems are changing, which has been challenging for providers and customers alike. Now more than ever, bold and flexible providers will flourish and be able to help more people in bigger and better ways. A working mum struggles to find time for her own aging parents. A formerly fit and active senior, recovers from surgery at home. Or perhaps someone who’s recently had their driver’s licence revoked due to deteriorating eyesight or other health issues. These are the sorts of situations where Chorus Home Care Packages can make the difference between crisis and stability. Louise and Dan hear from families who receive home care, and what the experience has been for them. They hear how people struggle before home care becomes a reality and the relief they feel when they finally get home care. Deb Ryan is an exemplar of this second type of approach. Deb has worked for Chorus in Home Care Packages for about 18 months. She spends most of her weekout and about speaking to people who have expressed a need for home care. At first, recipients of home care simply want to know exactly what they would get – how the government could help them. Deb speaks to aging Australians and their children, carefully explaining how the system works, and figuring out what they need. The response to home care is always positive. People who were stretching themselves to help take care of mum, dad, or other community members find they have more time and less stress. Aging Australians are met by smiling faces to help out with tasks. This in turn increases happiness and independence. Deb loves seeing the difference she and her team can make. Under the new home care system, customers are given statements. They see exactly what funding was spent where – and if there’s a surplus, they can use it for additional services. Deb’s background in banking has been perfect for this critical part of home care: budgeting. She finds it easy to help families decide what they need, and help them budget so that they can get that help. What happens if a customer is confused about how to apply for home care? Deb finds a way to help them fill the application out. What if a customer can only meet Deb or her team at 7:30am or 6pm? Deb finds a way to be there. No matter what a customer needs or when, Deb tries to find a way to help. That’s the Chorus idea of Wrap Around Support, and it’s exactly why the Chorus Home Care Packages program is growing as quickly as it is. Deb has recently added two nurses to her team, and they’re providing more home care to more Australians than ever before. In this new world of care provision – where customers choose what and how they receive support – it’s people like Deb Ryan and programs like the Chorus Home Care Packages that can provide care better than ever before. Now, the extra attention that truly caring providers give to their customers can actually translate into a better service.